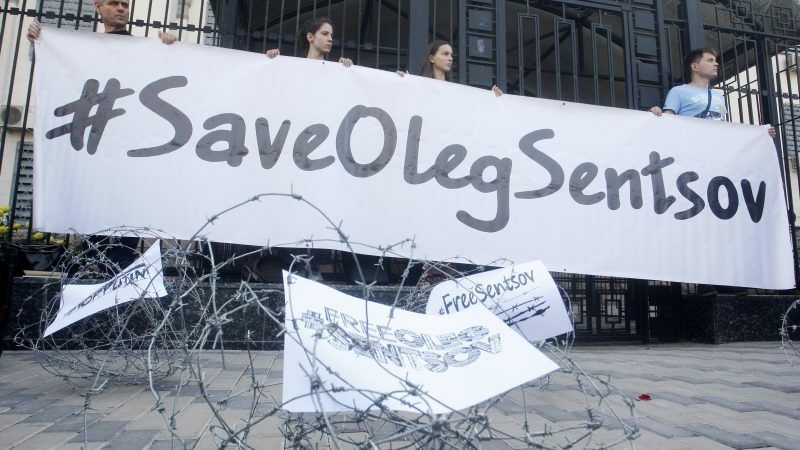 Czech filmmakers said on Tuesday (21 August) they were launching a rotating hunger strike in solidarity with their imprisoned Ukrainian colleague Oleg Sentsov. Sentsov, a 42-year-old director and Kremlin critic, has entered day 100 of a hunger strike in protest against his imprisonment in Russia on terror charges. He is demanding the release of all Ukrainian political prisoners being held in Russia. Seven filmmakers are participating in the first rotation of the strike. “We’ll be on hunger strike for five days, from this morning until August 25,” Vit Janecek, a member of the Czech Association of Directors, Writers and Playwrights, told AFP. Sentsov was convicted of planning arson attacks on pro-Moscow party offices in Crimea after Russia annexed the peninsula from Ukraine in 2014. He had taken part in the Maidan protests in Kiev during the winter of 2013-2014 that culminated in pro-Russian president Viktor Yanukovych leaving office and fleeing the country. Sentsov was sentenced to 20 years in prison for terrorism and arms trafficking after a trial denounced as “Stalinist” by Amnesty International. Kiev, the European Union and the United States also criticised the process against him. The father of two is receiving supplements in a drip usually meant for people unable to eat. Janecek told AFP that he and his Czech colleagues had chosen to launch their hunger strike on the “symbolic” date of August 21, which marks 50 years since Soviet tanks crushed the “Prague Spring” democratic reform movement that swept communist Czechoslovakia in 1968. “Unfortunately, it turns out that political systems have continuity,” Janecek said.